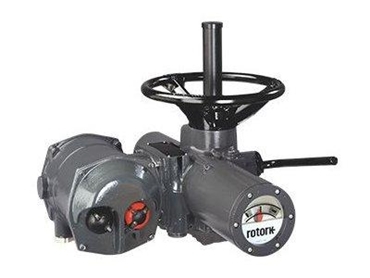 Rotork Australia are pleased to present the AWT range of electric actuators, which combine the qualities of robust electric motors with well proven simple mechanical drives. The AWT range of electric actuators have a total environmental sealing to IP68, which allows the inclusion of integral motor starter and control electronics. The torque range of these electric actuators is 14 to 3,000 Nm direct drive, up to 250,000 Nm quarter-turn, and up to 40,800 Nm multi-turn (rotary). separate motor control available where required.